Around 300 years ago during the reign of Emperor K'anghsi (1662-1722), the fourth Emperor of the Ching Dynasty, Manchurians had occupied China with an insurmountable force. As soldiers on both sides were equally skilled in Kung Fu, the Emperor gathered together the most skilled warrior monks and nuns in order to devise a style to be the antitheses to all other styles of Kung Fu. There is a legend that states the Buddhist Abbess Ng Mui went into the wild to observe animals and mimic their moves to devise this new system, at that time known as Plum Blossom style, however we believe that the different "animals" she observed were the different styles of Kung Fu that were present at the time: Snake, Crane, Dragon, Tiger, Leopard etc. Plum Blossom style was an amalgamation of many forms of kung fu, with fundamental principals of physics, geometry, physiology and Taoism applied to it. Kung fu was becoming very strong in Siu Lam Monastery (Shaolin Monastery) of Mt. Sung in Honan and this aroused the fear of the Manchu government, which sent troops to attack the Monastery but they were unsuccessful. Chan Man Wai, that year's First Place Graduate of the Civil Service Examination, sought favor with the government and suggested a plan. Plotting with Siu Lam monk Ma Ning Yee and others they set fire to the Monastery from within while soldiers attacked it. Siu Lam, where masters were devising the Plum Blossom style, was burnt to the ground and the monks scattered. Abbess Ng Mui along with Abbot Chi Shin, Abbot Pak Mei, Master Fung To Tak and Master Miu Hin escaped and fled their separate ways. Ng Mui took refuge in a White Crane Temple on Mt. Tai Leung and there she came to know Yim Yee and his daughter Yim Wing Tsun, from whom she bought her bean curd. Yim Wing Tsun's beauty had attracted the attention of a local merchant's son who was bullying her into marriage. Ng Mui had taken a liking to the young girl and decided to help her by teaching her kung fu. Yim Wing Tsun trained night and day until she mastered the system. She then challenged the bully to a fight and bested him. Before setting off to travel around the country Ng Mui told Wing Tsun to honor the kung fu traditions, to develop her kung fu after her marriage, and to help the people working to overthrow the Manchu government and restore the Ming Dynasty. This is how Plum Blossom kung fu was handed down from Abbess Ng Mui. After their marriage Wing Tsun passed Plum Blossom on to her husband, Leung Bok Chau, who renamed it after her. He passed his kung fu techniques on to Leung Lan Kwai, who in turn passed it on to Wong Wah Bo, a member of an opera troupe on board a junk known as the Red Junk. It so happened that the Abbott Chi Shin, one of the monks to have fled the fires of Siu Lam Monastery, had disguised himself as a cook working on the Red Junk, had taught the "Six-and-a-Half Point Long Pole" techniques to Leung Yee Tei. 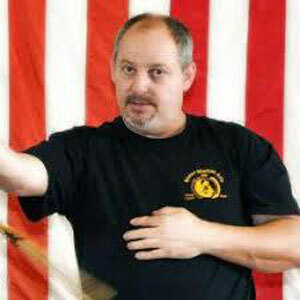 Being close to Wong Wah Bo, the two shared their knowledge of kung fu, correlating and improving their techniques and thus were the "Six-and-a-Half Point Long Pole" techniques incorporated into the Wing Tsun system. Leung Yee Tei passed the kung fu on to Leung Jan, a well known herbal doctor of Fat Shan. Leung Jan grasped the innermost secrets of Wing Tsun and attained the highest level of proficiency. Many kung fu masters came to challenge him but all were defeated and thus Leung Jan's name became known far and wide. He passed his kung fu on to Chan Wah Shan, who had many students including Yip Man and Jiu Wan. Train and teach each other on the Red Boats (1830s to 1855). They both teach their single notable student Leung Jan.
Leung Dak Wing, “Mr. Jan from Fushan” King of the Wing Chun Fist. (1816 or 1826 – 1901). His Fushan students are Chan Wah Shun and Leung Bik(son), (1836 – 1909). Chan Wah Shun, Wu Chung Sok, and Leung Bik teach IpMan. Chan Wah Shun teaches Chan Yiu Men(son) (1844-1932). Chan Yiu Men (1844-1932) teaches Jiu Jow (Uncle) and Jiu Wan (1920-1972). Bruce Lee teaches Dan Inosanto and Francis Fong teaches Jon Rister. 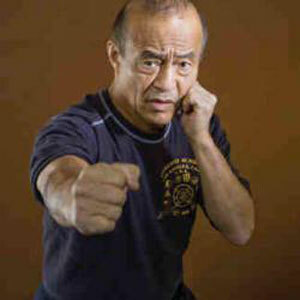 Dan Inosanto also teaches Jon Rister. Jon Rister teaches James Fell. The Yip Man tradition begins with the Shaolin Buddhist Nun Ng Mui. Who this person was has been a debate for centuries. Some say she was one of the escaped “Five Elders”, considered the most proficient practitioner of Wing Chun County Bok Hok Kuen – Eternal Spring White Crane Boxing. Some say she was actually Lui Sei Leung, the 4th daughter of a Ming general, and is said to have attempted to assassinate the Ching Emperor using very advanced martial art skills. Some say the name was a cover for Chan Wing Wah or for a person known as the White Crane Taoist. Some research suggests she was a character borrowed from several popular stories dating from the late 1800s and early 1900s. AWCKRI (Ancestral Wing Chun Kuen Research Institute) suggests she was a 3rd, 4th, or 5th generation practitioner of Weng Chun County White Crane, and that she maintained the older San Sik methods of White Crane. She is credited with incorporating softer “Ging Faat” (energy / force) considerations into the system, as opposed to the harder “Ging” methods – methods found to this day in Pan Gar. AWCKRI suggests she taught her techniques to Miu Shin, proficient in Internal Snake Boxing, the result becoming Wing Chun. The combination of White Crane and Snake Boxing is too obvious to overlook. Yip Man’s tale suggests Wing Chun grew from an observation of a stork (or crane) battling a snake. His story implies the superiority of the stork over the snake. However, AWCKRI’s suggestion is that these two became friends and had a child together – so-to-speak. The fact there are groups claiming the name Ng Mui is an alias, coupled with the name’s documented appearance in popular fictional stories such as “Everlasting”, begs the question was Ng Mui a real person or merely a moniker for one or more persons. One thing can be taken from Ng Mui, whether real or otherwise, White Crane Fist and possibly Snake Boxing are the thought processes out of which Wing Chun evolved. The surname Yim is interesting. Yip Man named his primary character Yim Wing Chun, and made her the one to receive the White Crane and Snake Boxing amalgam. The Yuen Kay Shun and Cho families credit Yim Yee as the disciple of Ng Mui’s work. Did Yip Man know of Yim Yee? Was Yim Wing Chun an homage? The name Wing Chun is also worth exploring. Supposedly Ng Mui, or the person or persons she represents, was proficient in Weng Chun County White Crane. It does not take much use of the broken-telephone game to turn Weng Chun County into Wing Chun. In the Yip Man narrative, Yim Wing Chun taught her husband, Leung Bok Lau (sometimes Lok Lau). He, in turn, taught Leung Lan Kwai. Lan Kwai taught Wing Chun to one or more Red Boat opera performers. In some related oral traditions, rather than Leung Lan Kwai, it was Leung Bok Lau himself who taught some Red Boat performers, as well as teaching Dai Fa Min Kam, Gulo Chung, and Yik Kam. In those traditions, Leung Lan Kwai does not exist. It is worth pointing out Yik Kam is mentioned in the Cho Family system as a Reb Boat performer. This name will reappear. We know Yim Wing Chun did not exist. Her name appears only in Yip Man’s writings. In Yip Man’s story, Leung Bok Lau was Yim Wing Chun’s husband, but you cannot marry a fictional character. 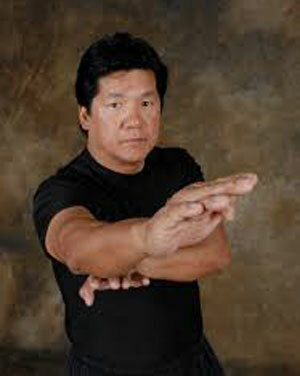 Leung Bok Lau does appears in other Wing Chun linages, such as Yuen Kay Shun and Cho Family. As Yim Wing Chun and Leung Lan Kwai appear only in Yip Man’s narrative, we can count these characters as purely fictional. At the time Leung Lan Kwai would have existed, stories suggest there was a Shaolin monk by the name of Chin Sin. He is also known as Jee Sin Sim See, Gee Seen Sim See, or Zhi Shan, whether considering Mandarin or Cantonese and which westernized spelling configuration is used. Chin Sin / Gee Seen was supposedly one of the escaped “Five Elders”, trained in Hung Gar, Lou Gar, Choy Ga, Lee Ga, Mok Ga, Ng Ga, and Wing Chun. Some stories say he fled the burning of the Norther Shaolin Temple, headed south, and created the Southern Shaolin Temple in Fushan province. There is no archeological evidence of that temple, though perhaps it was nothing more than a backyard gathering of like-minded people. Regardless, stories suggest two of the temple’s monks, Pak Mei and Fun Dou Dak, sided with the Qing Dynasty in the destruction of the Southern temple. During its sacking, Abbot Chin Sin and Pak Mei entered into a duel. Chin Sin was killed. Pak Mei is Bak Mei in Cantonese. A martial art style or branch derives its name from the monk that killed Chin Sin, Bak Mei. In the west, Pak Mei is Pei Mei – yes, the Pei Mei of all those Shaw Brothers Kung Fu flicks and the more recent “Kill Bill” movies. To this point, everything is just story gathered through oral tradition. There is no physical evidence of a Southern Shaolin Temple. There are no documents to back up Yim Wing Chun, Leung Bok Lau, Leung Lan Kwai, or Chin Sin. Tracing the history of Wing Chun, one would have to ask how Chin Sin became proficient in Wing Chun before leaving the Northern Temple. That is in conflict with oral traditions suggesting Wing Chun did not become Wing Chun until after the destruction of the Southern Temple. Most histories and lineages start with stories devoid of documentable fact. Nonetheless, the narrative must start somewhere, and aspects of this largely fictitious background will reach forward in time and cloud the more factual telling. In the early quarter of the 1800s, we begin to find documentable information. The Red Boat Operas were starting up and making a name for themselves. In addition to being something akin to traveling shows, the troupes were at least partially instrumental in inspiring an uprising against the Qing Dynasty. The Red Boats are romanticized in Wing Chun histories, but it is also fair to recognize these traveling carnivals may have been very carny-like, with a fair amount of scheming and swindling associated with them. One Red Boat troupe was known as the King Fa Wui Goon Opera Troupe, the Precious Jade Flower Union. In that troupe were two performers of note, Wong Wah Bo and Leung Yee Tai. Leung Yee Tai was a Mo-Deng performer – a male dressed as a female. He was also a boat poler for the troupe. Wong Wah Bo was the Mo-Sing or male lead of the troupe, and was renowned for his portrayal of “General Kwan” in the troupe’s performances. 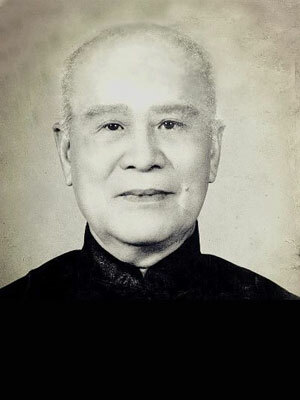 Wong Wah Bo was proficient in Wing Chun Fist Fighting, Wing Chun Kuen, and is known as the Dai Sihing of the troupe. Dai translates as “big”, but not in size, more in the sense of importance or order. Si-Hing means senior brother within your Kung Fu family. It is not about age, but about who has trained longest. As such, Wong Wah Bo was the more experienced lead-training brother. Why is it Wong Wah Bo was not considered Si-Fu – training father or master? Perhaps he was not certified. Perhaps, as the troupe contained folk of various styles and systems, the term Si-Fu was controversial, so Sihing was selected. Regardless, Dai Sihing is the training title Wong Wah Bo is known for. (Side note… The hyphen between Si and Hing, Si and Fu and other terms indicates folk within the same family, the same lineage. Si-Fu and Sifu, while pronounced the same, are actually two different Cantonese terms, each having their own specific notation. Here the fictional story touches the traceable history. It has been suggested Chin Sin was impressed with Leung Yee Tai’s performance skills, strength, and the way he handled the boat pole. Chin Sin may have felt Yee Tai was a natural for the Shaolin Six and a Half Point Long Pole form, and offered to teach it to him. It may have been Yee Tai wanted to incorporate the pole into the opera, needed more work with it, and sought out a monk’s help. The truth cannot be determined as to why the Chin Sin story touches the Yee Tai fact, except to note Yee Tai was proficient with the Six and a Half Point Long Pole form, and Chin Sin seems to be the explanation has to how Yee Tai received that proficiency. Wong Wah Bo and Leung Yee Tai trained together. Wong Wah Bo is often considered Leung Yee Tai’s Wing Chun Si-Fu, though Yee Tai taught Wah Bo the pole – the student becoming the teacher. Cross training would have been common on the Red Boats. This exchange of Wing Chun Kuen for Long Pole would be no different from teaching Wing Chun to a Jiu-Jitsu friend while they teach you some Jits. The Boats were not only traveling operas, they were Unions – Associations. In the troupe’s name, King Fa Wui Goon, we have “Goon” which often translates as “school”. Looking at related Wing Chun branches, we find some interesting similarities and notable differences. Yuen Kay Shan tradition almost follows the Yip Man narrative, with a notable deviation. 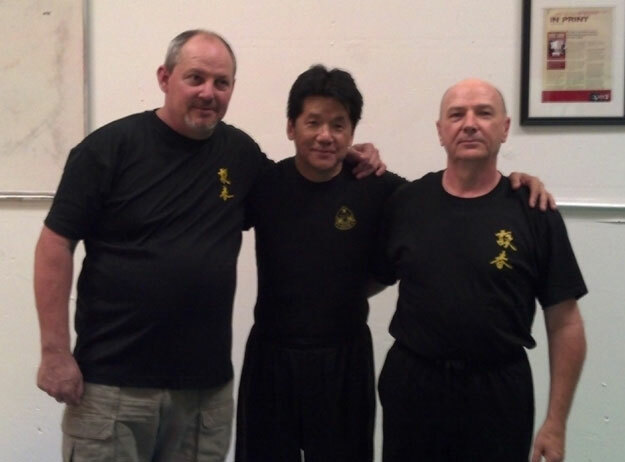 In their lineage, Ng Mui teaches Yim Yee, who teaches Leung Bok Lau, who teaches Wong Wah Bo. There is a common beginning, with a deviation in the middle, but reaching the same conclusion. The Cho Family system claim Ng Mui and Miu Shin (White Crane and Snake Boxing) as the start, and like Yuen Kay Shan include Yim Yee and Leung Bok Lau, but conclude this section of lineage with Cheng Tan, also known as Yik Kam – a Mo-Deng performer on the Red Boats. Could Yik Kam and Leung Yee Tai, both Mo-Deng performers, be the same person? Might Yik Kam have been a Mo-Deng in a different Red Boat troupe from Leung Yee Tai? If so, how is it the lineages after this point come together? The Yiu Choi and Yiu Kay families begin their lineages with Wong Wah Bo. They essentially discount Ng Mui, Yim Yee, Leung Bok Lau, and any earlier figures. Perhaps it was decided the vague qualities of the generations prior to Wong Wah Bo were sufficient to mark them as either fiction, or to suggest they were not true Wing Chun. To their form of thinking, Wing Chun begins only on the Red Boats. Given the ambiguity and contradictions in the early stories as compared with these known facts, a few things are certain. All branches lead back to the Red Boats. Some give major credit to Yik Kam, but the majority credit Wong Wah Bo. As such, the earliest documented Wing Chun instructor would seem to be Wong Wah Bo. At least, more Wing Chun branches would appear to flow from him. Consider the Red Boat troupes, making their way up and down the waterways, stopping at village and town, barking about the weekend’s performance not unlike a circus. Town-square demos would be given in attempt to gather as many potential customers and coins as they could. The actors’ martial art and acrobatic skills and strength make them perfectly suited for tough work. The performers would often take side jobs as bodyguards, transporters of precious items, enforcers, and undoubtedly teachers. The crowds would gather to see the shows, many anxiously waiting to see one or more amazing performers – stars they heard about from a distant up stream friend or relative. Many people would have highly anticipated seeing the person who plays the role of General Kwan – Wong Wah Bo. As most Wing Chun branches claim him, and as he was renowned for his performance skills, it is likely he was a highly charismatic individual. Wong Wah Bo was the Donnie Yen of his time. While the Red Boats ply their trade, folk play out daily routine on land. Records are not clear, but in either 1816 or 1826, a second son was born to Dr. Leung in Fushan province – no relation to Leung Yee Tai, by the way. The child was Leung Dak Wing. Dak Wing was fond of his father’s medical practice, while his older brother, Dak Nam, was more interested in business than medicine. It is suggested as a young man Dak Wing apprenticed on the King Fa Wui Goon Red Boat. This would be during the years 1840 to 1850 or so, being in his twenties during this apprenticeship. He left the apprenticeship when his father passed away, sometime in the mid-1850s. His brother, Dak Nam, was already in business, and as Dak Wing had a fondness for medicine, he took over the family pharmacy on Fai Jee Street. Leung Dak Wing generated a name for himself at the pharmacy. He was known for treating the poor free of charge. The name of the Leung pharmacy, Jan Sang Tong, as well as his acclaim for treating freely, gave rise to a nickname, “Jan Sin-Sang”, sometimes shortened to “Jan Sang” – Mr. Jan, sometimes “Fushan Jan Sang” – Mr. Jan from Fushan. There are stories suggesting Leung Yee Tai became ill and sought medical attention. He was drawn to Mr. Jan because of his medical knowledge and charity, and it was because of his charity or perhaps in trade Leung Yee Tai agreed to teach Leung Dak Wing. There is conflict with these stories. It is doubtful Dak Wing would have been medically proficient at such a young age, especially if he was willing to devote time to apprentice on the Red Boats. So which is true, his apprenticeship, or a chance meeting due to illness? In some histories, it was Wong Wah Bo who began teaching Dak Wing as part of the apprenticeship. Wah Bo would later introduced Jan to Yee Tai. Doubtless, since Wah Bo and Yee Tai were well known to each other, and Dak Wing was familiar with the troupe or at least familiar with some martial art, Mr. Jan received training from both Wah Bo and Yee Tai. In 1855, the Red Boat unions were officially marked as traitors and extortionists. These unions were banned, a ban lasting about 13 years. This ban creates a gap where records of the members of the troupe as well as the progress of Wing Chun and related martial arts are more difficult to follow. Doubtless troupe members went into hiding, or at least attempted to lay low. Nonetheless, they did have to earn a living. During the ban, Wong Wah Bo lived in Fushan province – the same province where Leung Jan’s family pharmacy was located. Wong Wah Bo modified the pole form to make it conform to Wing Chun principles. There are suggestions both Wong Wah Bo and Leung Jan created the Wing Chun forms, which have become the principle method of teaching and passing Wing Chun on. The Kulo Village tradition suggests Wah Bo took a single long Kung Fu form, possibly a White Crane San Sik form, and broke it up into three forms, as well as a fourth section that became the Mook Yan Jong form. The Cho Family and Kwai Family both preserve a single long form, lending credence to this belief. It is likely Wah Bo, and perhaps Jan and Yee Tai all working together, broke a longer form up into the three forms we know today. This would be some time during or just after the Reb Boat ban – 1855 to 1869. Sometime after the Red Boat ban was lifted, Wong Wah Bo returned to the troupe and performance. Leung Yee Tai remained in Fushan, where he took on Mr. Jan as a student. Mr. Jan apparently entered into fight contests. Added to his medical and charity nickname, “Mr. 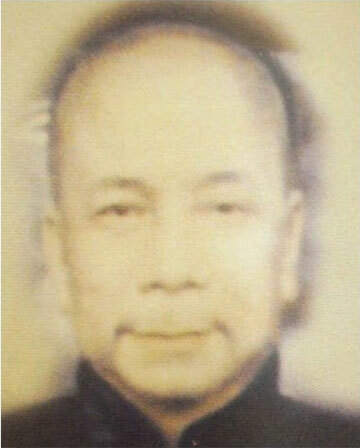 Jan from Fushan” was the moniker, “Wing Chun Kuen Wong” – King of the Wing Chun Fist. By some accounts, he went undefeated in over 300 challenges. However, like any promotional story the actual number of challenges should be taken with a grain of salt. How many bill boarded officiated fights versus backroom brawls, no one can say. Nonetheless, the King of the Wing Chun Fist was clearly quite proficient and renowned. A speculation is worth injecting at this point. The early stories of Ng Mui and Mui Shin name specific styles or systems – White Crane and Snake Boxing. The suggestion is these early practitioners were aware they were using two systems with traditions and fixed structures unique to them. The same may be said for their students, Yim Yee and Leung Bok Lau. They also may have recognized which techniques or concepts came from which system. 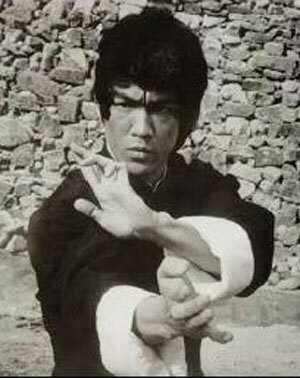 It is never stated but possible that a charismatic proficient individual like Wong Wah Bo, much like Bruce Lee, may have been the final synthesizing factor, downplaying the roles of the parent systems and giving rise to a new system, the amalgam breaking free of its parents and coming into its own. In the Yip Man story, the name Wing Chun is derived from Ng Mui’s fictional disciple, Yim Wing Chun. Could this tale also be an homage? Is it too much of a stretch to speculate the name Wing Chun could have begun with the domineering Wong Wah Bo and his student, Dak Wing? There is no documentation specifying where the name Wing Chun began. It may have been a years’ long misinterpretation of Weng Chun County, or an attempt to set up a moniker for Mr. Jan’s fight career, or something Wong Wah Bo or Leung Yee Tai plucked out of the air. We do not know. However, we do know during this time, with the dominate figures being Wong Wah Bo, Leung Yee Tai, and Leung Dak Wing (Mr. Jan), the name Wing Chun becomes fixed to the system. While living in Fushan, Leung Jan taught Chan Wah Shun, Wu Chung Sok, and Leung Bik. Some accounts claim Bik was Jan’s son. However, there is mounting evidence to suggest this is not the case. Accounts range of Jan having anywhere from one to five sons. The currently accepted belief is that Leung Jan had only one son, Leung Chun, who was sickly and died young. However, this does not make the name or the student Leung Bik fictitious. The surname Leung is common, as already seen in this short history. As people attempt to interpret records against oral stories it is easy to imagine someone would assume, seeing two identical last names, one might be a parent teaching a child. Leung Jan’s primary Fushan students taught Yip Man. Yip Man was Chan Wah Shun’s last student. At Chan Wah Shun’s passing, Yip Man began training under Wu Chung Sok and Leung Bik. Here is must be noted, while Yip Man was Chan Wah Shun’s last student, an earlier student of Chan Wah Shun was Chan Yiu Men. Chan Yiu Men would go on to each Jiu Jow (also spelled Jiu Chow) and Jiu Wan, which will figure in this lineage shortly. 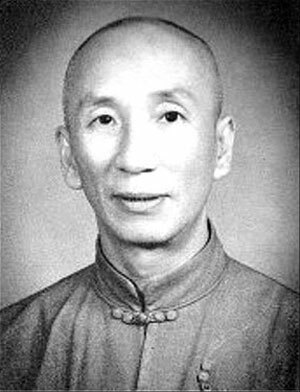 Yip Man taught many notable Wing Chun practitioners, but of greatest note are Wong Shun Leung, Bruce Lee, Gwok Fu, Yip Bo Ching, Wong Kam Yuen, Yip Ching, and Yip Chung (his sons). One particular Yip Man student or collaborator, at least to this author, is Jiu Wan. Jiu Wan studied Wing Chun under Chan Yiu Men and Jiu Jow (his uncle and a senior student of Chan Yiu Men). While a connection with Yip Man is held across the board, in some cases it is viewed as tangential and more of a collaboration than a teacher-student relationship. Regardless, there is a connection between Jiu Wan and Yip Man. 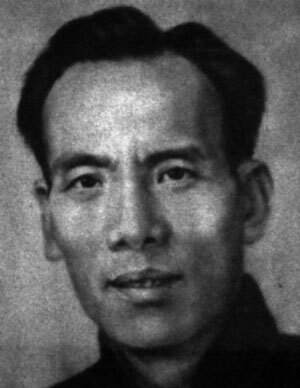 Jiu Wan taught Francis Fong, among many others. Yip Man is considered the most recent Wing Chun Grandmaster. However, that title may not be because of his abilities but because of his teaching proficiency. Unlike the masters leading up to him, most of which cite a single student or two, he can boast of many notable students. Having said that, the limited number of students attributed to prior instructors is questionable. Did Leung Yee Tai or Wong Wah Bo teach only Leung Jan? Many histories suggest past masters were often more fussy about their students. The training was more rigorous, few students were accepted, and senior students were often only a select few. However, with the banning of the Red Boats and the need for the actors to earn livings, troupe players – all versed in martial arts – would willingly take on any students they could find. How many students studied for a few years, perhaps learning just enough to defend themselves, and then slipped into obscurity? It is likely only noteworthy students are remembered – students who went on to teach others of renown, creating the illusion of only one or two students. In fact, Leung Jan’s history bears this out. Initially, only his Fushan students are noted. However, there is documented evidence they were not his only students. Around age 73, Jan sold the family pharmacy and retired to Koo Lo (also Gu Lao), his native village in Hokshen Provence. This fact supports the idea that he had only one son who died at an early age. The traditional approach would have been to pass the business on to a son in the same fashion Jan (Dak Wing) received the business from his father. In Koo Lo, Leung Jan taught several locals, among them Wong Sum Wah, Leung Bak Cheung, and Yik Ying. It is suggested Jan taught a different version of Wing Chun during these retirement years. In Koo Lo, he taught the San Sik, his conclusion of Wing Chun, a more compact version of what he had learned on the Red Boats from Leung Yee Tai and Wong Wah Bo. It is worth noting the possibly mythical Ng Mui focused on the San Sik of White Crane. San Sik is a core version, focusing more on forms, functional techniques, and pattern exercises such as Chi Sao. It must be remembered most of these Kung Fu arts descend from the Reb Boats where performance was important. Flourish and flare would have been common in order to enhance audience engagement. San Sik might be considered the central principals devoid of flourish. At this point, it is worth emphasizing nothing can be called “pure” Wing Chun. We do not know for certain where Wong Wah Bo got his Wing Chun Kuen. Did Wah Bo learn Wing Chun, or White Crane and Snake Boxing in a separate but blended fashion? We do know Leung Yee Tai, Wah Bo’s student, affected the system, as did Leung Jan. Every student who goes on to become a teacher molds and modifies the system, not only shaping it to himself or herself, but finding approaches that work for all and identifying techniques that rarely work. There are Wing Chun principles that hold true and need to be maintained for the style to be called Wing Chun, but Wing Chun cannot be pure. When looking at the long list of Yip Man’s notable students versus the shorter lists of previous instructors, it should also be noted that all martial arts underwent a revolution and an expansive explosion in the 1940s to 1970s. Societies everywhere were changing, with middle classes emerging. Free time and a little free money, less common during strictly agricultural times, was becoming more common. Schools, for either exercise, traditional practice, or entertainment, were opening up everywhere. Yip Man’s large number of notable students may be as attributable to the time in which he lived as to his skills. From the list of Yip Man students, of which there are at least 33 notables along with who knows how many “also learned” from earlier instructors, many branches of Wing Chun have evolved. Like the branches of a tree, each generation of students teach new students and create new branches, resulting in many variations. What has been presented is as close to the trunk of the tree as can be factually determined. I do not know a lot about Yuen Kay Shan. His father was a friend of the Leung Jan family (Mr. Jan from Foshan), and hired Fok Bo Chuen to teach is two sons, Yuen Kay Shan and Yuen Chai Wan, Wing Chun. 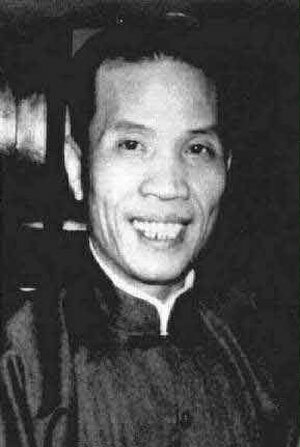 There is some connection with Yuen Kay Shan to Vietnamese variants of Wing Chun. There is apparently some connection to Sum Num, who was more along the San Sik line of thought than the Wong Wha-Bo Red Boat Opera approach.